High pressure cleaning solutions for both the outside and inside of your vessel. Graco has cleaning solutions for both the outside and inside of your vessel. Prepare your surface with the desired profile for your coating adhesion or remove dirt and rust so new coatings can be applied. 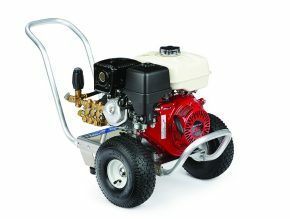 Graco sells both pneumatic and gas driven pressure washers for the marine industry The ATEX approved pneumatic pressure washers are developed to use in explosion sensitive environments, like the cargo area on a ship if the ship carries chemicals, oil or other highly explosive materials. 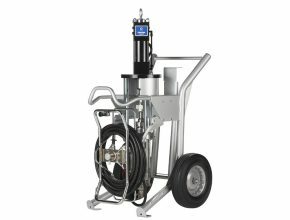 Graco Gasoline driven pressure washers for surface preparation, cleaning agent, horizontal cleaning etc. The Hydra-Clean pressure washers are safe to operate in hazardous locations because there’s no risk of sparking. It is the quickest, easiest and most efficient method to clean your toughest environments.